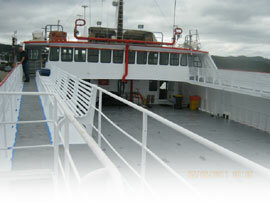 Ship Repair is the main service centre in Northland, New Zealand for all marine projects. To discuss a marine engineering, refit or fabrication project or to book one of our slipways for your next ship survey and hull repairs, contact the specialist team at Ship Repair in Whangarei. "Please express our gratitude to your staff and contractors for their efforts and labours on the Yeo Tide. It was a job well done in a short period of time. Up there with the world class yards and docks. Thanks from all on board."